Have you ever noticed your towels just don’t smell that great, even just out of the wash? Or don’t seem as absorbent as they used to be? No, you’re not crazy-you have towels in sore need of a refresh. 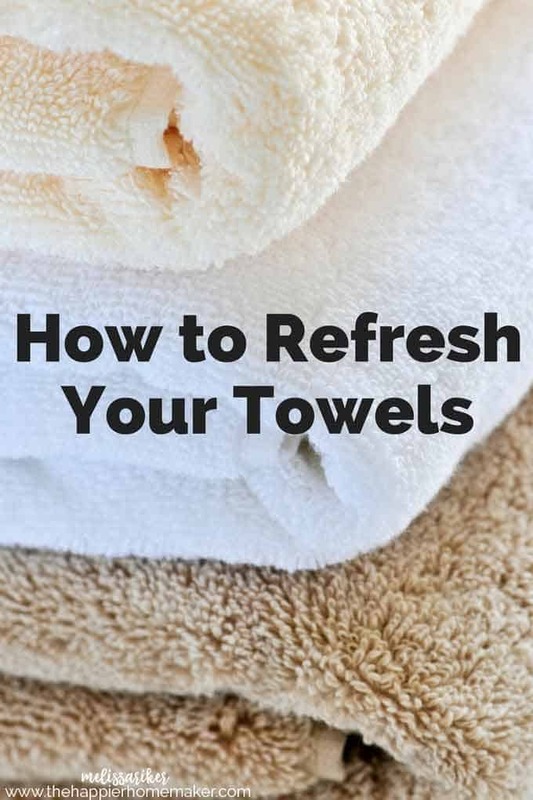 Luckily for you it’s super easy and you probably have everything you need already to get your towels back in tiptop shape! Here’s how we’re going to refresh smelly towels! Yep, that’s it. I told you that you already had everything you needed! First, what is making your towels stinky? Over time you can get a build up of laundry detergent and fabric softener on the towel that forms a film over the fibers. This is why you’ll notice your towels not being as absorbent. Now, if water can’t get into the towel when you’re drying off after your shower, it’s also not getting into the fibers to CLEAN them so you’ve basically locked that mildew smell into your towel. We’re going to remove it-we just need to run the towels through two cycles in the washing machine! The first cycle you’ll run will be using only one cup of white vinegar on the hottest cycle you have. Do not use any detergent, just the vinegar! 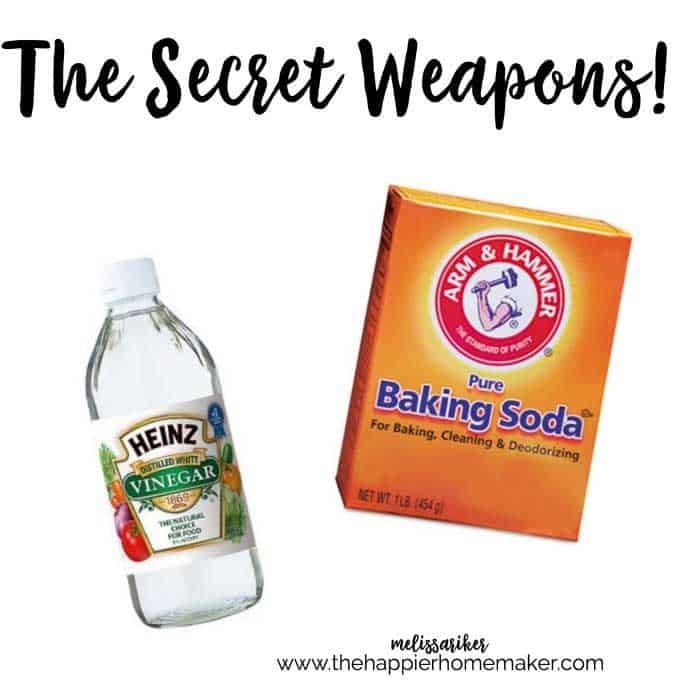 After that cycle is finished we’re going to run a second cycle, this time adding 1/2 cup of baking soda to the mix-again the hottest water cycle you have (usually the whites setting.) Remember, only baking soda this cycle, no detergent or anything else. After the second cycle either air dry or line dry your towels and they should be good to go! To prevent the buildup from recurring you can use white vinegar in place of fabric softener in your washing machine for the same effect naturally! I do this refresh about once every 6-9 month as we live in a damp climate that seems to invite mildew. Do you have towels in need of a refresh? Let me know in the comments! Hi! Why do the air dry? Will the heat of the dryer effect the outcome? I don’t have anywhere I can do that. I am also wondering the same question! Have you gotten an answer yet? I havé the same problem: no air dry on m’y machine. I have appreciated all your past household tips. Will look forward to your book coming out. It will make a good Christmas gift. When do you expect to have it on the shelves? It’s been so hot and humid here that my clothing just seemed nasty, even after washing so instead of bleach I filled the bleach compartment with white vinger. It worked. I Love “White Vinger”. I run a laundromat, and place tips on the page everyday, How3 do I send/ share these tips to facebook page?